Struggled to get through the week? We spend most of our time at work or school and the challenges can really drain our energy. 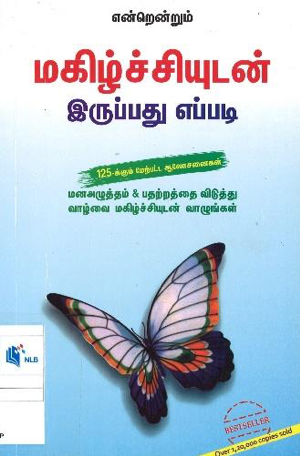 Here are three motivational Tamil books to help overcome these challenges and improve our lives. Having some stress is normal and good to push us towards our goal. However, once it becomes excessive it can affect productivity and performance, and in some cases, be detrimental to our health — both physically and emotionally. This book offers some good tips to address our stressful problems at the workplace. With just 11 short chapters, this book is a quick read for those who want to know how to deal with failures. When failures happen, we will inevitably feel pain and negative feelings. This book explains that these feelings are because of the high expectations placed on us by others. If we continue to wallow in them, we will end up hindering our own success. For example, failure in an exam may be because we don’t believe in ourselves. However, if we are able to understand our feelings and these expectations, we can treat failure as a learning experience and move towards success. Together with the other advice in this book, success may just be a little closer! This book advises that problems can be seen as opportunities for us to improve on our shortcomings and emerge stronger. This in turn leads to more happiness. Accompanied with useful illustrations in this book, these 125 suggestions could be the answer to our own happy-ever-after.